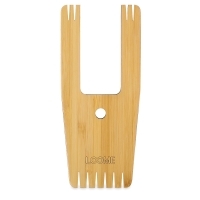 Simple yet versatile, the Loome is a multipurpose fiber craft tool. 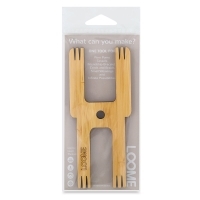 Use your Loome to make pom poms, tassels, friendship bracelets, cords, braids, small weavings, and much more. 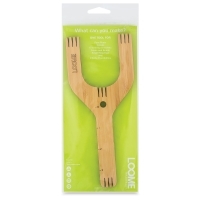 The tool has notches and arms to hold your materials in place as you work, and a center hole keeps cord creations from getting tangled. 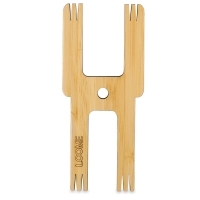 Made of poplar wood, the Loome is all one piece, which means no little parts to lose. 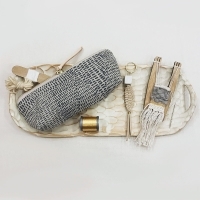 It's compact, lightweight, and easy to travel with. 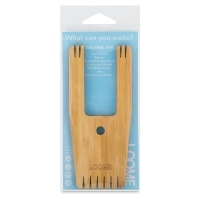 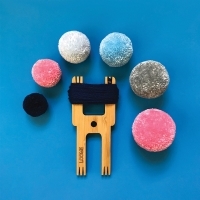 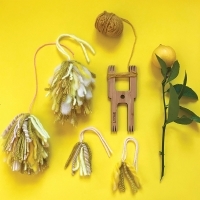 The Loome Craft Tool is great for fiber lovers, crafters, knitters, crocheters, and weavers. 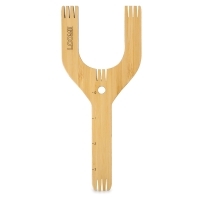 It comes in three different styles. 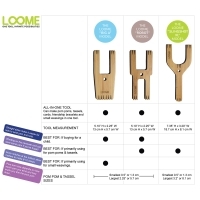 For help choosing the right Loome, please see the comparison chart featured in Photos. 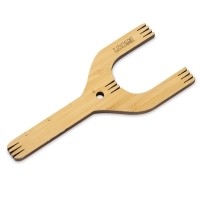 Slingshot XL Model — About 50% larger than the other Loomes, so you can make bigger pieces. 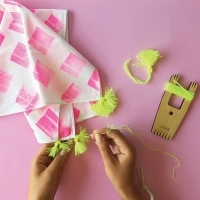 An etched-in ruler helps track the length of what you're making. 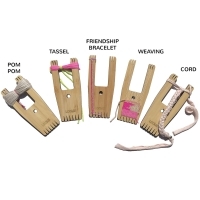 Big A Model — Best for making small weavings. 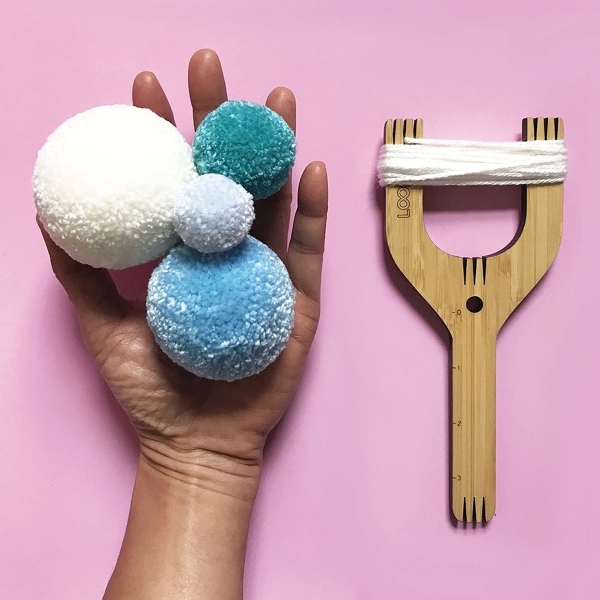 Kid-friendly. Robot Model — Make two pom poms or tassels at the same time. 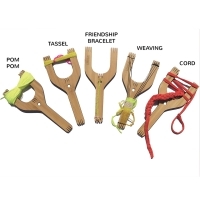 Kid-friendly.